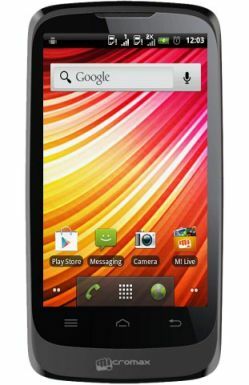 Micromax launched its new dual sim mobile in their Bolt series named Micromax A51 Bolt which runs on Android 2.3 Gingerbread Operating system. It comes with 3.5 inch HVGA capacitive touch with 320x480 pixels resolution. It is powered by 832 MHz processor and 256 MB of RAM. Bolt A51 has 512 MB of internal storage and external memory can be extended up to 32 GB via microSD cards. It is equipped with a 2 MP rear camera with LED flash support and also a VGA camera in front for video chatting. The phone has 1500 mAh battery and giving 4.5 hours talk time and the connectivity options are GPRS, 3G, Bluetooth and Wi-fi. Micromax Bolt A51 is priced for Rs. 4599 and available now on popular online stores Saholic and Snapdeal. Check the links below to buy Bolt A51 dual sim phone.